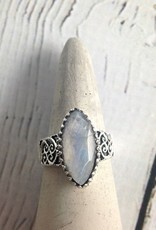 Sterling Silver Large Faceted Marquis Moonstone Ring, Size 8. 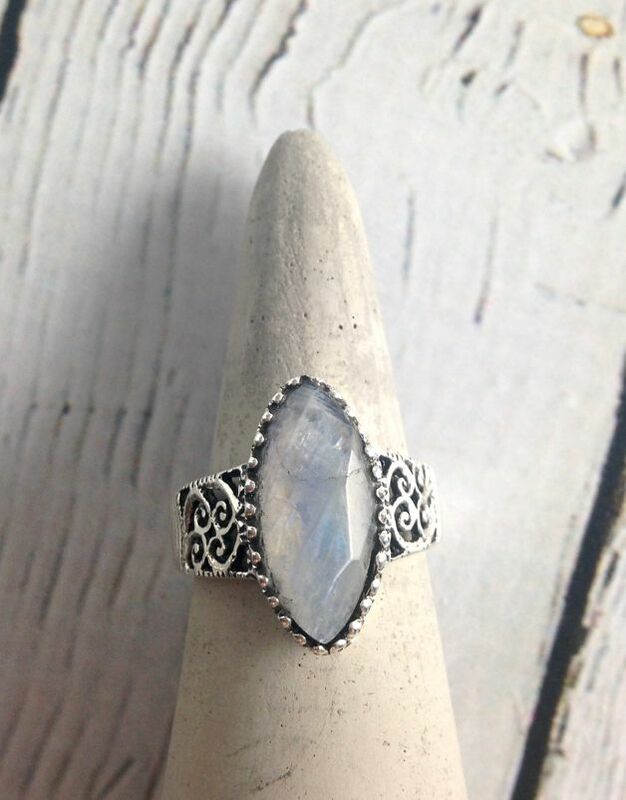 The ornate setting looks great with this large chunk of moonstone. 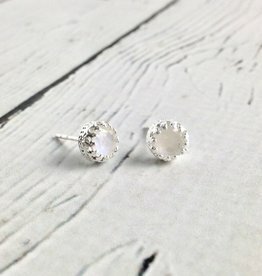 Ring is .75” at it’s widest point. 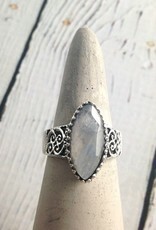 Sterling Silver Large Faceted Marquis Moonstone Ring, Size 9. 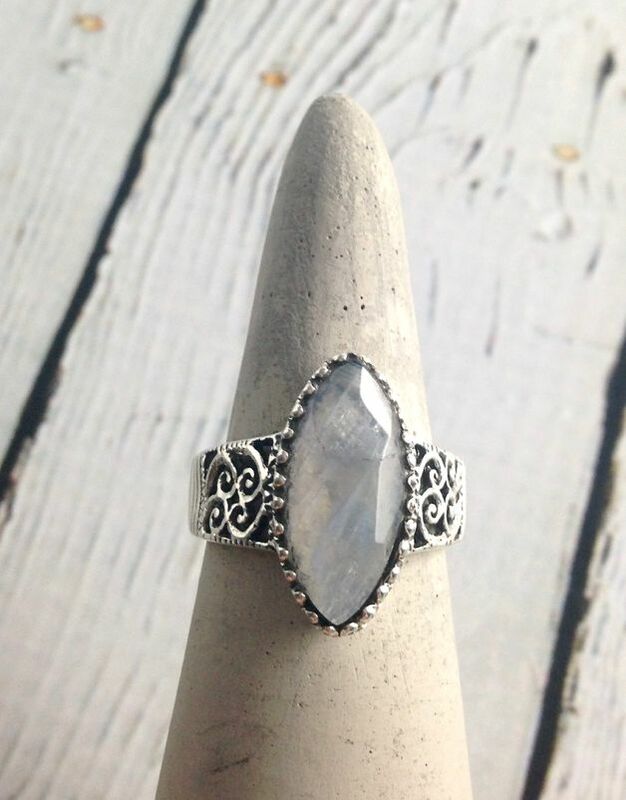 The ornate setting looks great with this large chunk of moonstone. 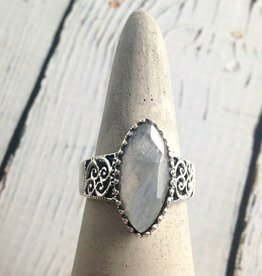 Ring is .75” at it’s widest point.